Seam bowlerNuwan Pradeep has become the latest Sri Lanka bowler to sustain an injury, putting him in serious doubt for the second test match against Australia to be played in Galle from August 4 to 8, says Andrew Fidel Fernando in ESPNcricinfo. Pradeep had been Sri Lanka’s only frontline quick in the Pallekele Test, but suffered a hamstring strain during training on Monday. He will undergo a fitness Test on Wednesday before a final decision on his availability is made for the Test starting on Thursday. At least one of the two uncapped seamers in Sri Lanka’s squad are now in line for a debut, with Suranga Lakmal also yet to make a full recovery from a hamstring strain. Left-arm seamer Vishwa Fernando is the more experienced of the two candidates, having played 44 first-class matches to 19-year-oldAsitha Fernando’s two games. With the Galle surface expected to take significant turn, it appears likely Sri Lanka will field three frontline spinners in their attack again. 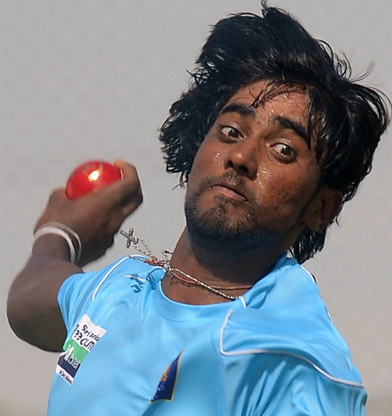 Though Pradeep now joins an injury list featuring Dhammika Prasad, Dushmantha Chameera, Jeffrey Vandersay and Lakmal, Pradeep had played nine consecutive Tests, going back 11 months. He had also played in ODIs during that time. If he is ruled out, Rangana Herath will be the only man in Sri Lanka’s likely attack to have played more than 10 Tests. Offspinner Dilruwan Perera has played exactly 10, and left-arm wristspinner Lakshan Sandakan made his debut in the previous Test.